So here we are. Almost two weeks on and the dust has begun to settle, yet I still manage to find myself locked into heated argument after argument about this film. Normally I just eat anyone who disagrees with me but I’ve decided that it’s time to take the gloves off (I take a XXXXXXL claw guards, for anyone who’s curious) and get my paws dirty with my analysis of The Dark Knight Rises. Also, to Nolan Fanboys. Many people reading this are already heating up a crock pot of venom to fling in my face. To them I say, put down your ladles and listen. This is not a personal affront to your lord and saviour Nolan, just a criticism of a movie which he made. I am very much a fan. People deride comic book movies for being huge, silly movies with no worth, no plot and no depth. In the past five years, writers and directors have gone out of their way to give these people something to stick in their pipes and smoke. 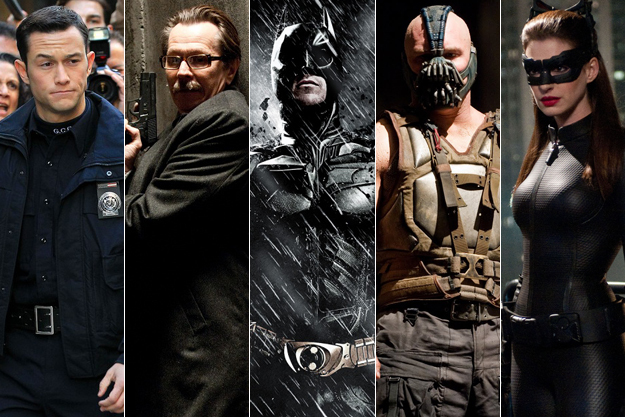 From Batman Begins to Watchmen to Marvel Studio’s titanic film series, comic-book movies have pushed the envelope when it comes to the perception of the genre. Granted, we have the occasional stinker (we’re looking at you Green Lantern and Wolverine), but for the most part the comic-book movie has come on leaps and bounds. Filmmakers like Christopher Nolan have drawn on the rich source material and put their own spin on these beloved universes to create cinema experiences that die-hard fans and the uninitiated can both enjoy. So, when the Dark Knight Rises came along we expected no less. What we got, however, left this monster scratching his head. The Dark Knight Rises takes place 8 years after the events of The Dark Knight. Bruce Wayne has become a recluse and the Batman hasn’t been seen since the night Harvey Dent was killed. Fortunately nobody reads too much into this coincidence. Also fortunate is the fact that nobody has aged. Wayne Enterprises is suffering due to a sustainable energy project that Bruce has shelved, deeming it to be too dangerous. This is all fine. Secret identities are predicated on people being dense and nobody minds a few years here or there. As the film progresses we begin to see the cracks appearing. If Talia is so rich why didn’t she just have someone build her an actual bomb? Or five bombs for half the price? How did Bruce Wayne get from the Middle East to Gotham with no money, no passport, no way out of the desert and no way of knowing where the nearest US Embassy was, if indeed there was one to be had. Why, when she heard that Batman had returned, did Talia not detonate the bomb immediately? She had created hope and broken him in prison or done whatever it was her nonsensical motivation demanded, but instead of finishing her mission she waited around to gloat. Wait and gloat: so many villains’ undoing. Why does Bane sound like a cartoon Richard Burton? Why was there no Batman in this movie? Why would he abandon Gotham to sip espresso with Catwoman? The above does not bode well for most of the people in this film. Bale is intolerably bland as Batman. But Batman is a blank slate, I hear you cry. He’s driven by his sense of duty and has no personality, you’ll say. Batman is not the mannequin that Bale portrays. He’s a paranoid control-freak. This is a man who (in the comics, and The Dark Knight) creates the world’s most elaborate big brother. He knows where everyone is at all times and beyond that attempts to control where they are. None of this is visible in the Batman who hides in his mansion for 8 years and says come what may. Yes, he became a villain to make Harvey Dent a symbol but Batman spends so much time evading the police as a hero that life as a villain would hardly be any different. Then at the end of the movie he shirks his “calling” to hang out with Catwoman. Also, his innate and unfounded trust in the woman who sold him out to Bane, had his back broken and landed him in a hellhole prison is completely unbelievable. Why can nobody act any more? I’m shocked there was anything left to blow up after the amount of scenery Gary Oldman and Michael Caine chewed their way through. This was the series that reinvented Gary Oldman for me and gave him a shred of credibility. Now I find him weeping like he’s just won Best Actress. Michael Caine is borderline at the best of times but Sad Alfred was just embarrassing to watch. Joseph Gordon-Levitt and Anne Hathaway are the only ones who leave you with the sense that they understood what they were making and where to pitch their performances. With the exception of Catwoman and Scarecrow this movie is an absolute fun void. I don’t know anybody who reads Batman for Batman. Batman is all about the twisted, sadistic nutjobs that Arkham simply cannot keep inside. Batman’s villains are the root of all the fun to be had. This is a fact that Nolan used to know. He took the Joker and stuck him into his ‘realist’ vision of Batman, never forgetting the fun that the Joker brings with him. This should be true for any of the Caped Crusader’s villains. Their success depends on the dark kick that we get out of them, on the sadistic smiles and inappropriate laughs. Bane and Talia provide none of this, with Selina Kyle and Jonathan Crane left to pick up the slack. Ledger’s Joker dressed up as a nurse, killed a guy with a pencil, blew up a hospital and killed Batman’s girlfriend. Hilarious. Basically The Dark Knight Rises saw the series lose its way. Instead of the intimacy of the first two films, we got all the hollow splendour of an IMAX spectacle. In trying to make a hit it seems as though Nolan forgot to make a movie. I’m coining the Curse of Bane. Put him in a Batman movie, wait for it to die. 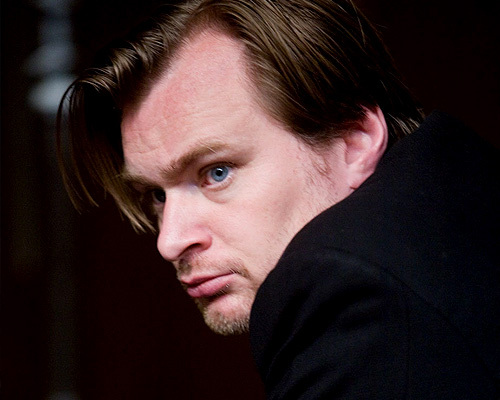 Hopefully Nolan goes back to what he does best for his next film and makes a movie about people. Leave the spectacle to Michael Bay.